Vancouver Island Brewery had an OK thing going. Having opened in the 80’s, it had a decades-long head start on the craft beer trend, carving out a niche for itself as the go-to alternative to the big brewers for anyone living on the island. Throughout the years they grew into a dependable brand on the backs of staples like Piper’s Pale Ale and well-known seasonals like the Hermannator Ice Bock. But eventually dependability can start to look more like staleness, especially as newer breweries like Phillips, Driftwood and Hoyne started gaining a big following. Sensing an opportunity for change, the brewery was sold to a new owner, formerly of Muskoka Brewing in Ontario, in a friendly acquisition in June 2016. The new owners brought in a new CEO (formerly of Steamworks) and the promise of change was in the air: a new tasting room, new beers, new branding, and a new attitude. Almost a year on from the overhaul, none of those new directions appear to have been for the better. The redesigned tasting room is a cavernous space where tasters are served one at a time in glasses barely larger than a shot. While test batches of the new beers were quite good, they’ve been underwhelming when mass produced. Nothing stands out or demands a repeat visit. Overall, the “new” VIB represents an unfortunate missed opportunity, with the warm nostalgia of yesteryear replaced by a mediocre sheen that could be replicated at any brewery in the country. Thank you for your feedback. Without feedback like this we’d be hard pressed to grow and improve. We have to say we agree with a lot of what you said. 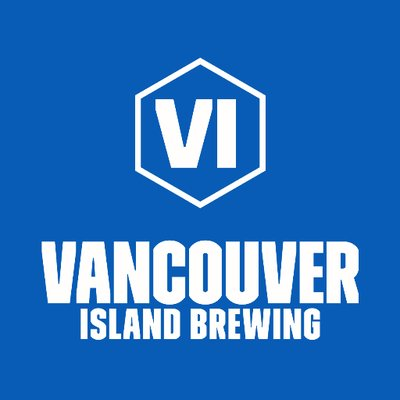 In 2017 we tried to make some bold moves to bring Vancouver Island Brewing back to prominence in the craft brewing scene, and we missed the mark. That said, we are in the process of addressing these issues by listening to the feedback from people like yourself, and will be rolling out some new stuff in the spring! Check out our avatar / social media for a little bit of a sneak peak as to what is in store, as we have soft launched our new logo ahead of Victoria Beer Week which starts today. We would love to have you out to the brewery again sometime in the spring / summer to show you the progress that has been made, and to get your thoughts on how we’ve done. Thanks for such a heartfelt comment Team VI, and not taking the review too personally. Our plan is to annually update our rankings (as we’re doing already with Metro Vancouver), but in the interest of objectivity we don’t really announce our presence when visiting. But we’re definitely interested in visiting again, and hope we enjoy it more — both because good beer is tastier than average beer, and it’s always nice when organizations set goals for improvement and meet them.